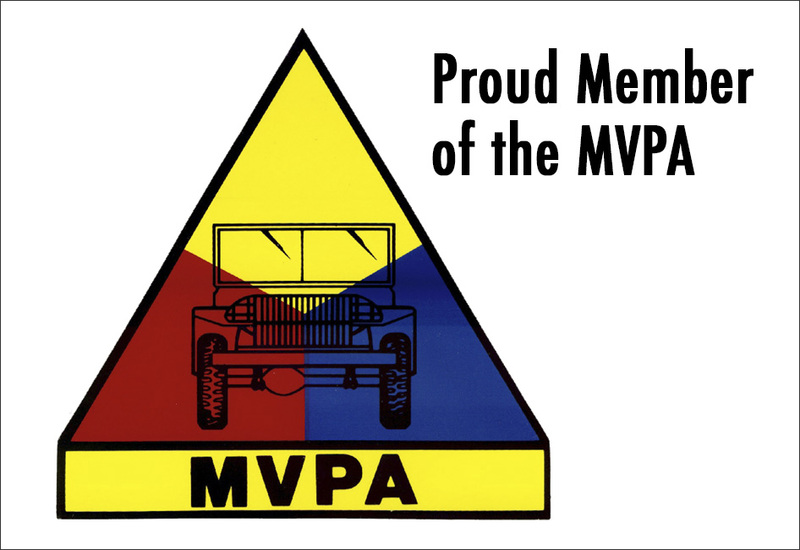 During WWII, the Ford GPW and Willys MB played a powerful role in increasing the efficiency and mobility of the US Army, adopting distinctive features, some recognizable even today, that would continue to influence the design and silhouette of the modern “sport utility vehicle”. 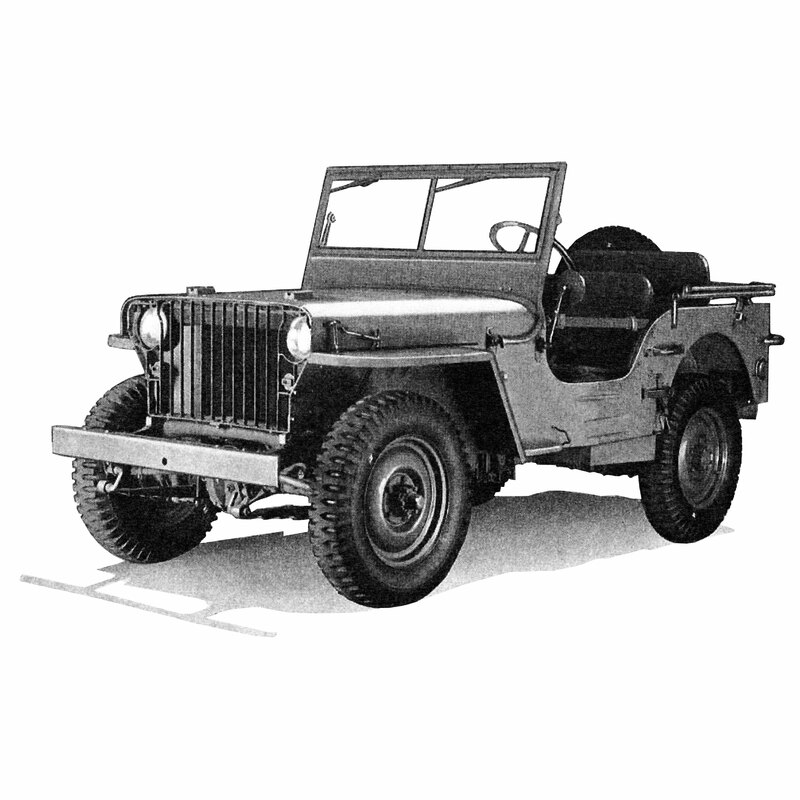 Soon to become the ubiquitous, world-famous jeep, the Willys MB and Ford GPW models were very effective on the ground, with many standardized features such as 6.00x16 tires, 60 honest horsepower at 4,000 rpm, a gasoline can bracket on the left rear, provision for trailer lights, spark interference suppression, a blackout light system, twin top bows and sealed spring shackles. Prior to the production of the MB/GPW, other attempts were made to satisfy the Army’s need for a light utility vehicle including the first prototype presented by the American Bantam Car Company. Nicknamed the “Blitz Buggy”, this vehicle concept which was the first bid accepted by the Army, as it satisfied the Army’s Ordnance Technical Committee specifications that the vehicle have: four-wheel drive, a crew of three on a wheelbase of no more than 75 inches and tracks no more than 47 inches, a fold-down windshield, a 660 lb payload, and an engine capable of 85 ft lb. (115 N m) of torque, along with an empty weight of no more than 1,300 lbs (590 kg). While the "Blitz Buggy" did satisfy these requirements, Bantam was not able to match its production and budget needed by the War Department. As as result, Ford and Willys were asked to product their own pilot models for testing, the results of which would determine the contract. The original pilot models were submitted and named accordingly. 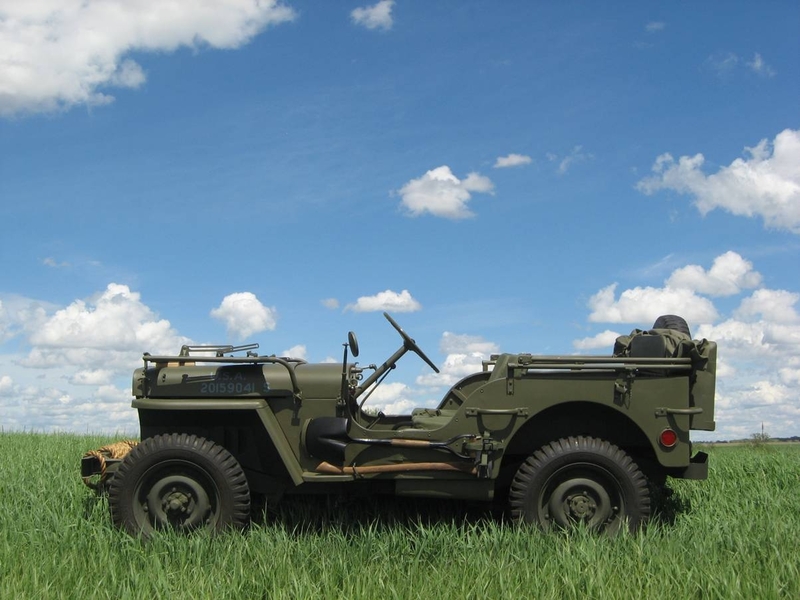 The Willys Quad by Willys Overland, the Ford Pygmy by Ford and the BRC 60 by Bantam were accepted and orders were given for 1,500 units per company, with a revised weight limit of 2,160 pounds. During these pre-production runs, each vehicle was re-named. The Willys Quad became the “MA”, the Ford Pygmy became the “GP”, and the “BRC 60” became the “BRC 40”. By July of 1941, the War Department, needing standardization, selected Willys-Overland to fulfill its contract, on account of the MA’s powerful engine, silhouette, low bid ($748.74/unit), and because of the company’s ability to fulfill production needs, ordering another 16,000 vehicles. Absorbing some of the design features of the Bantam and Ford entries, the Willys “MA” was then renamed the Willys “MB”, and featured the powerful “Go Devil” engine and a welded flat iron “slat” radiator grille (which was later replaced by a stamped grille in March of 1942). By October 1941, due to an increased demand for production, Ford was contracted to assist Willys-Overland and changed their model’s name from “GP to “GPW”, with the "W" referring to the "Willys" licensed design. During World War II, Ford produced some 280,000 of these vehicles. Check the engine block for a serial number starting with either “MB” or “GPW” to identify the motor. On earlier models, the left side of the rear panel has “Ford” or “Willys” stamped into it. The rear wheel well tool boxes have either a rectangular (Ford) or a circular (Willys) depression where the lock button is installed. (Front bumper): On the GPW, the front bumper has three holes in the bumper, the crank hole is just off center, and there are two smaller holes in the bumper at the end of the frame horns. Another major observable difference between the Ford and the Willys is the first cross member of the frame, just behind the grille. On the Willys it is a curved tube, while on the Ford it is an inverted, stamped “U” member which pretty much goes straight across the front. Most components of Ford GPWs had the Ford “F” cast or stamped into them to manage the risk of having to compensate for warranty work on items built by Willys, since the vehicles were mechanically identical. Eventually, the need for this type of “branding” was eliminated, as the American military did its own warranty-level work in Ordnance shops. Rounded rear corners were found on the bodies of all the production Jeeps, both Ford’s GPW and Willys’ MB models. All models also featured larger bumperettes, exterior handles for manual extrication from sticky terrain, and two top bows to raise the height of the canvas and keep it from pounding the heads of the front seat occupants. The instrument panels began to look more militarized on the MB and GPW. Instruments were separate (oil pressure, fuel level, ammeter, water temperature, speedometer) had black faces, and were externally illuminated. The in-out lever for the front differential, and the transfer case lever, were on the right side of the transmission lever, as those components had migrated from the left side on the Bantams to the right side on the production models. - Excerpt from the book “Vol. III: All American Wonder” by Fred W. Crismon. 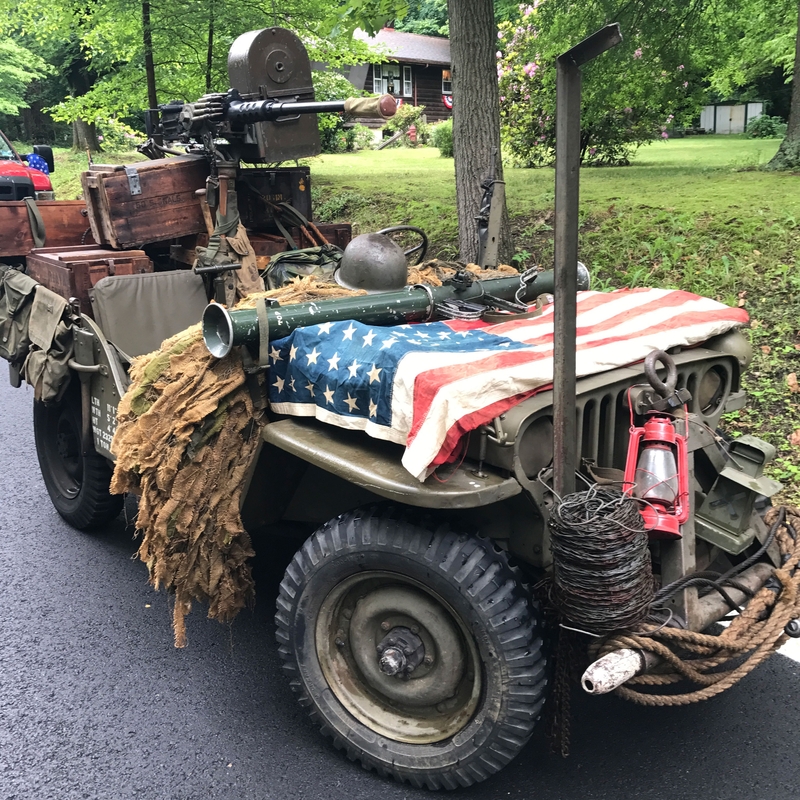 For more photos of these and other Willys Jeep Models, visit our Willys Jeep Blog Customer Photo Album! 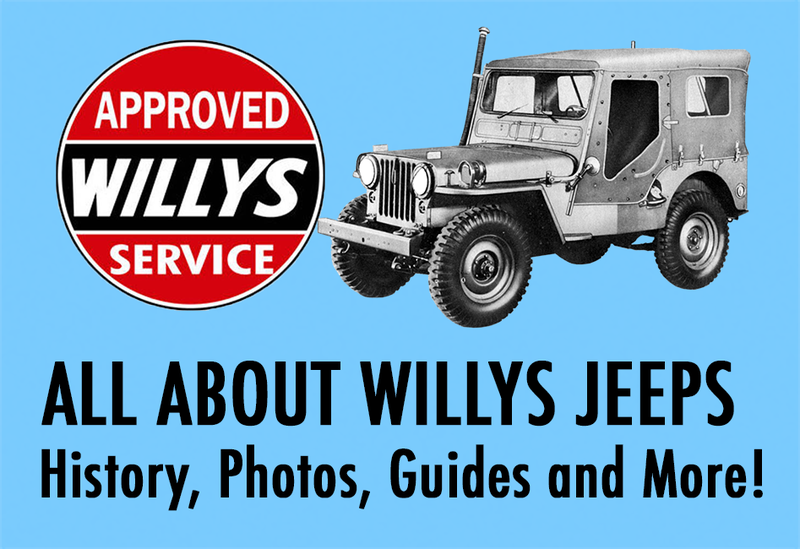 Need replacement parts for your 1941-1971 Willys Jeep Vehicle? 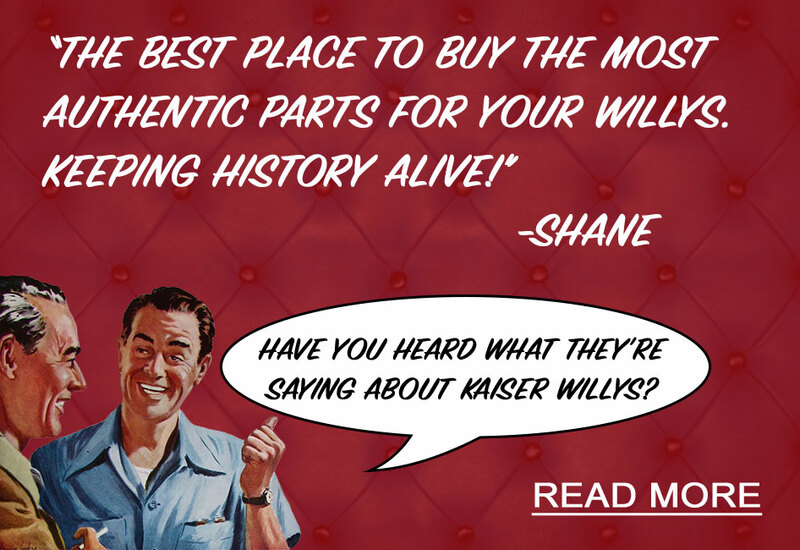 Visit the Kaiser Willys Auto Supply Homepage for Axle Parts, Body Parts, Electrical Parts, Interior Parts, Transmission Parts and much more!